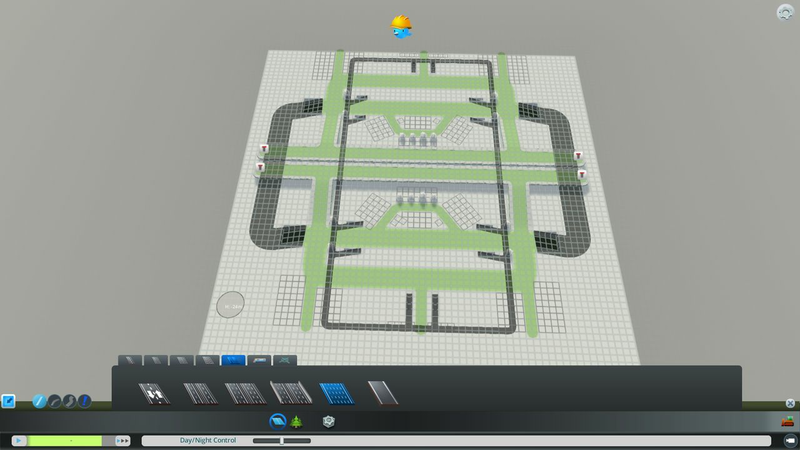 Currently working on a mod pack for Cities Skylines - After Dark;it features over 400 assets,40 mods and 60 maps or so.If anyone wants other mod packs for other games post them here and i might consider them. Cities Skylines - After Dark. I just got that game - haven't played it yet. Would like that mod pack. Was playing Witcher 3, and Dragon Age Inquisition. Mods are a bit iffy for both games yet. Especially Witcher 3, as the new 10........? update wiped all my mods out. 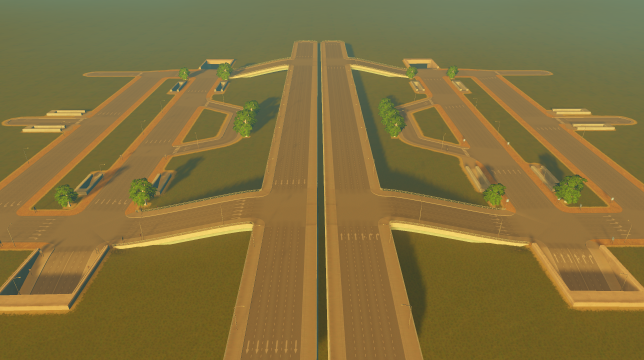 Working at it and testing Twistty,curently at 30 mods,60 maps and 180 new assets for the game,this includes new trucks,new types of roads,new buildings in every sector and so on,just need to test it out a little more. 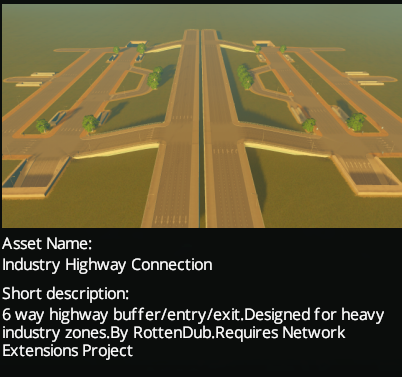 So i got some free time and I've made an asset,it's a heavy industry buffer/entry/exit,think I'm gonna make it exclusive to the pack. Pack is almost ready,coming later today writing some instructions and uploading soon. Grand Theft Auto V? I understand that this game is really irritating to mod and requires a lot of time so I am willing to purchase any games up to ~$60 for you for all your work.. I can only do steam though since that's all I have funds in. Obviously if you don't have GTA V this might be hard to do lol. Well, if you really want to put the time into it then that would be awesome. I never really expected anyone would do it though. I like fun mods that I can mess around with everyone once in awhile like the grapple hook mod. As long as you can toggle it in game then you can include it. I have a pretty good rig so feel free to throw in high performance mods. I'm big on car mods. I'd like lots of those. Re textures (Like the Vespucci beach one) that is a higher resolution. Different game mechanics. Different car handling, guns, how cops react. GTA realism is good for some of these. I like blood. Rippo's (I think) raider violence overhaul is awesome for this. Include some of his other mods too. LOTS of script mods. I like script mods since they are pretty unique and you can do a lot of things with them. Enb/reshade. Obviously. I like pinnacle of V combined with better car reflections. The general focus should be semi-realism. I'm cool with things like zombie mini games and superhero mods and the like, as long as you can toggle them in game and don't disrupt me when I don't want to use them. Feel free to PM with more questions. If you can make a pack like this then I'll definitely get you anything from the steam store between $0-$60. Add me on steam: Renegade Doggie. We should be able to chat there further. I'll be heading to bed now so I should still be able to respond by mobile for about 30 minutes. Look forward to seeing what you come up with! Sorry for the late reply,my pc can't handle most modern games and i don't own GTA5,even if i did,Rockstar are know to be antimodding so I'll let them be. Thanks for the detailed post,who knows maybe in the future. and the mod's getting updated all the time to, so there is the compatible matter. Is anyone interested in a Mass Effect 2 or 3 mod pack? (which ofc would pretty much be composed of hi-rez textures) I personally have a ton of textures and stuff for ME3 that I could probably make into a mod pack relatively easily. ME2 would be a bit harder but there are indeed some nice stuffs for it too. ME1 doesn't really need one ofc because of MEUITM. Hello, I never played Mass Effect so I would be really interested indeed! Ya I would like to see that also. Witcher 3 - is coming out with a new DLC soon - so have to wait to see what the new update will change??? Oblivion - Rotten had another website before this, and someone there (damn I wish I could remember his name?) - made a really good pack for Oblivion, but I lost it. Really wish I could get that back. If anyone still plays Morrowind - I made a pretty damn good one for that game - new textures, game fixes, new lands etc. Ok, I'll have to get the ME trilogy running on my computer (I'm not sure if I have a copy atm...) but it shouldn't be to hard to whip out a basic mod pack for Mass Effect 3 covering almost all in game textures. Basic retextures are available for Mass Effect 2 but its pretty slim pickings unless something changed in the last year or so. I'd love to see an Oblivion modpack. Would love to see a Witcher 3 mod pack. May only be a few bug fix patches and no more DLC, so its a perfect time to get modding!